Aesthetic Dermatology: Jeffrey H. Binstock, M.D. (Mill Valley) - Book Appointment Online! Aesthetic Dermatology: Jeffrey H. Binstock, M.D. 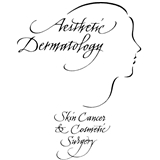 At Aesthetic Dermatology and Skin Cancer: Jeffrey H. Binstock, M.D. and Associates, we are fully committed to providing patients with the best possible care, in an elegant, comfortable setting. Your welfare and goals are our primary concern. We offer all the latest treatments for aesthetic issues, as well as top-quality care for medical dermatology conditions and skin cancer diagnosis and treatment, and MOHS surgery. Our practice has two separate offices located in San Francisco and Mill Valley. Click here for contact information. Wonderful! Highly proactive and informative.